Today's post is brief: a link to a great essay by Naomi Stead: "Writ Small: House by House, Iggy Peck and the Architect in Children's Books." Writing for the journal Places, Stead examines how her understanding of design was shaped by her girlhood readings, and considers the impact, however indirect, of children's book on professional practice. I'll write about some of the books Stead discusses in a later post. In the meantime, read Stead's insights on how children's books can make us think about creativity and shape our expectations of the adult world. Andrea Beaty, Iggy Peck, Architect. Illus. by David Roberts. (Abrams Books for Young Readers, 2007). The relationship between formal schooling and creative work has long been contentious. More than one adult reader will remember the oppressiveness of mandated handwriting exercises, the difficulty of aligning smudgy erasable ink forms on easily-torn green-lined paper. Such work could make medieval calligraphy feel liberating. Yet there is no question that carefully-structured school lessons give all of us the tools to expressive ourselves with both creativity and coherence. What kind of balance, then, between freedom and restraint is conducive to architectural education? Iggy Peck, Architect tells the story of a young designer who realizes his calling while still in diapers. Iggy builds freely until second grade, when the villainous Miss Greer quashes his effort to construct magnificent structures. When an emergency arises on a class picnic, however, Iggy's ingenuity saves the day. Miss Greer is then forced to recognize the value of architectural creativity and skill. The narrative does play into some tired stereotypes: for example, the spinsterly Miss Greer literally faints in distress while out with her charges. Iggy himself, who is drawn by David Roberts as a lithe little hipster, carries the heavy load being both the irrepressible class genius and a knight in shining armor. Suitable for 4-8 year-olds, Iggy Peck is a useful conversation-starter about the place of play and model-building in a school setting. Further reading: Joan Ockman, ed. ; with Rebecca Williamson, Architecture School: Three Centuries of Educating Architects in North America, (ACSA/MIT Press, 2012). “How did he make that?” is not the question I expected my six year-old test reader to ask about the image of a French chateau in If You Lived Here. I had been prepared to talk about regional architecture and building materials, but my daughter clearly envisioned her bedtime reading being adjourned for an adventure with scissors and paper. Giles Laroche refers to his distinctive working method as “paper relief.” For each of the illustrations, Laroche creates a delicate world of cut paper, then separates the layers with spacers to add the illusion of depth. The result is intriguing and enchanting, and a wonderful introduction to architecture for young readers. An engaging large-font narrative explains the subject at hand, with supplemental information for more advanced readers added in a smaller font. If You Lived Here depicts fifteen different housing types, beginning with an American log cabin and ending with a tree house. The examples are drawn primarily from the Western world, but also include Ndebele decorated houses and a Fujian Toulou. Notably, Laroche resists the temptation to create associations between ideas about permanence and home as an architectural form. The portable yurt, trailer and houseboat all make appearances towards the end of the book. The paper-relief illustrations, rather than serving as a distraction from the subject of architecture, teach an important lesson about representation. As they examine Laroche’s miniature worlds, young readers will naturally wonder about the role of the artist in presenting factual material to an audience. The images of If You Lived Here bring to life the challenges – and the pleasures – of translating three-dimensional objects into two-dimensional forms. It is this seamless blending of lessons about both architecture and representation which make Laroche’s book a classic in the making. For young children, the traditional division between architecture and the natural landscape is not self-evident. Houseplants may bloom in the dining room, and outdoors spaces often feature shady plastic playscapes with manmade material underfoot. Rather than trying to enforce boundaries between the natural and the manmade, the best children’s books encourage their readers to see continuity between the built environment and the natural world. After all, both places can be sites of creative self-expression, spaces to work and play. Architecture and the natural environment each offer budding designers an opportunity to think in three dimensions. Peter Brown’s The Curious Garden tells the story of an independent young boy who forges harmony between nature and the built environment, transforming his city into a place which is more enjoyable for all. As The Curious Garden opens, readers see the urban landscape of its protagonist. Young Liam inhabits a gray, industrial city, with no obvious spaces for children to play. Setting out on a solitary walk, Liam climbs up onto an abandoned viaduct, entering a secret world of plants waiting for care. The Curious Garden unfolds as Liam makes subsequent visits to his secret space. Through careful trial and error, Liam hones his gardening skills, and the plants rewards his efforts by blooming and expanding along their path above the city. Soon, the small boy is surrounded by a gorgeous explosion of flowers, and butterflies. After a winter of dormancy, the garden rises in the spring, outpacing Liam and attracting gardeners across the city. The last picture spread shows Liam’s home city transformed. Windmills have replaced smokestacks; adults and children are gardening and playing on rooftops and in the streets. The expanded garden has defused any tension between mankind and the natural world. Peter Brown acknowledges the creation of Manhattan’s High Line as the starting point for The Curious Garden. Yet the book succeeds as an original narrative while also channeling earlier children’s stories like the nineteenth-century tale of Johnny Appleseed and Frances Hodgson Burnett’s The Secret Garden. Alongside a message about environmentalism, Brown’s tale celebrates children’s autonomy, revealing to young readers the role they might play in shaping the world around them. Liam is delightfully introverted, a boy who leads with the example of quiet perseverance. Liam’s job, like that of the reader, is to find a place he can express himself within the constraints of a world he cannot entirely control. It’s a hefty challenge, but Liam’s commitment to passing along his skills gives readers faith that the next generation is up to the task. Further Reading: Peter Brown, The Curious Garden (2009); Frances Hodgson Burnett, The Secret Garden (1911); Esme Raji Codell, Seed by Seed: The Legend and Legacy of John “Appleseed” Chapman, (2012); David Halle and Elizabeth Tiso, New York’s New Edge: Contemporary Art, The High Line and Urban Megaprojects on the Far West Side (2014). Forty years after its publication, David Macaulay’s Cathedral is still a magnificent introduction to Gothic architecture. There is hardly a finer set of drawings of medieval craftsmen at work, and the shaggy, slightly-lopsided splendor of the fictional Chutreaux cathedral reveals Macaulay’s deep engagement with his subject. (Chutreaux was based on Amiens, where Macaulay drew and wrote the first draft of the manuscript). In Macaulay’s narrative, the townsmen of Chutreax collaborate seamlessly, working together to build workshops, foundations, and scaffolds. Macaulay shows each step in detail, from the forging of nails to the hoisting of voussoirs. Cross-sections and elevations, dotted with tiny laborers, give readers a sense of how the building comes together in three-dimensional space. Eighty pages and nine fictional decades after it begins, Macaulay’s cathedral rises in all its glory above the small, dense town of Chutreaux. For adult readers, the gap between Macaulay’s portrayal of medieval life and current knowledge of the period is frustrating. Children’s books aren’t academic tomes, but the fact that Cathedral does not include a single legible image of a woman gives readers an inaccurate portrayal of women’s contributions to medieval building and civic life. We know now that women participated actively in the design and use of Gothic cathedrals. Women were patrons, religious leaders and worshippers. Some women were members of craft guilds, especially in textile arts. They also fed, clothed, and looked after the children of the carpenters, masons and glassblowers shown in Cathedral. Macaulay’s illustrations are wondrous, but it is time for a new story. Further reading: David Macaulay, Building the Book Cathedral (1999) and Cathedral: The Story of Its Construction (1973); Therese Martin, ed. Reassessing the Roles of Women as 'Makers' of Medieval Art and Architecture (2012). I'm intrigued by the way that the study of architecture and landscape is introduced to young children. This blog will feature short reviews of children's books which address the built environment, as well as the natural landscape around us, in innovative or noteworthy ways. I'm also going to revisit some of the classics from decades past, starting with David Macaulay's Cathedral (1973). 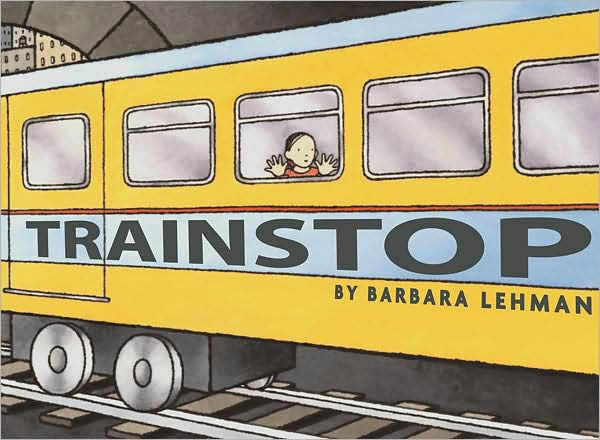 As I read new releases and examine the classics, I'll be on the lookout for stories and illustrations which give children -- and the adults who read with them -- a sense of agency in the built environment. After all, parks and cities belong to all of us, and there is no reason that children should be the only ones building castles out of sand. I'm also interested in the intertwining of technology, gender and creativity in books for the very young. I've got lots of titles on my desk, but if you have a book to recommend, drop me a line at victoria.j.solan[at]gmail.com.